Do you love picnics but don’t love getting stuck in heavy vacation traffic? Now you can have a picnic anytime you like in your own backyard. 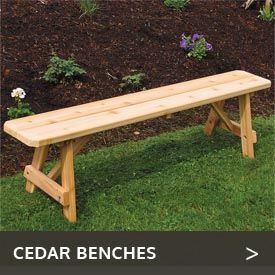 The big selection of cedar, pine, fir and redwood picnic table sets available from Cedarwood Furniture makes it easy to enjoy outdoor meals with family or friends when the weather’s fine. These picnic sets come complete with natural wood tables and benches, giving you everything you need for instant outdoor fun. 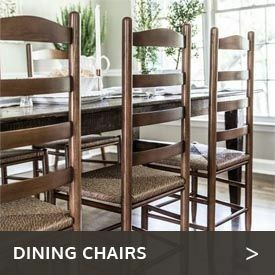 We carry sizes to suit practically any space or number of diners. Choose among tables ranging from 4 feet to 8 feet to accommodate up to eight or 10 diners. 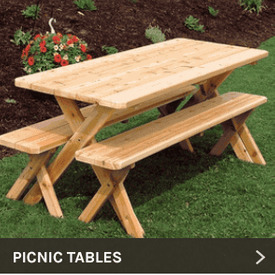 You can also order picnic table sets sized for kids, providing a perfect spot for backyard birthday parties or to give children their own separate, special place alongside the grown-ups’ picnic table. Our picnic tables are available with attached or unattached benches. Choose from backless benches or benches with backs. You’ll also discover a wide range of natural softwoods and hardwoods available unfinished or in your choice of finishes for just the look you want.